A few weeks ago I was kindly invited along to Pandora's launch of their Wishing Tree - A tree that will sit at the centre of their gifts campaign for this year. The beautiful jewellery brand is the perfect destination for that special present for Mothers Day, a friends birthday or just for yourself as a little treat. Get some ideas now on their gifting pages here and check out the video below from the event and us trying to make some origami flowers to go on the tree. It's harder than it looks I promise. Below are a few of my current favourites up on the Pandora site. 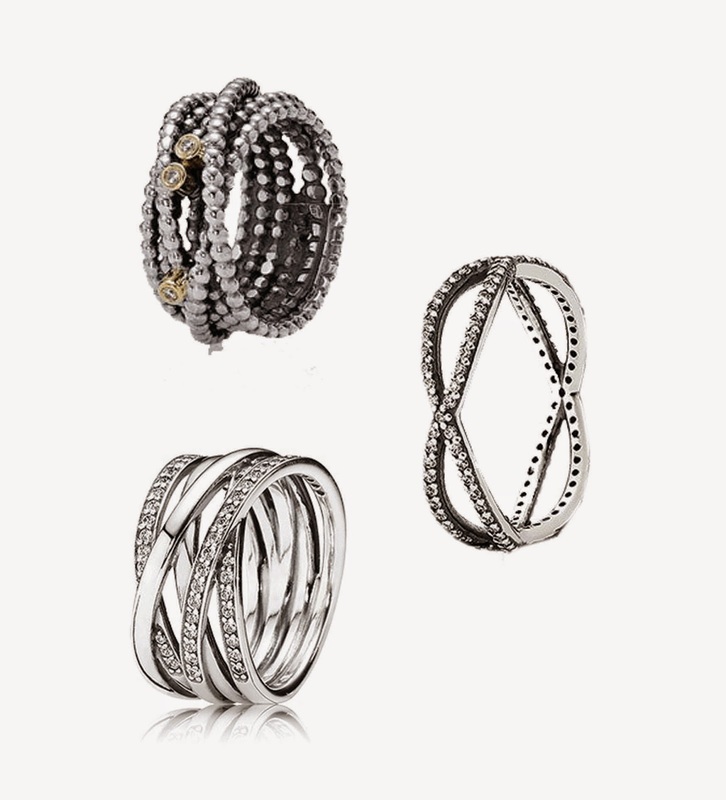 I can't get enough of their silver rings and these twisted styles give the stacking effect in one go. Easy peasy!